The 2018 bocce season starts August 21. Practices are on the events calendar. August 21 through October 23. Bocce is an Italian game. The basic principle of the sport is to roll a bocce ball closest to the target ball, which is called a pallina. 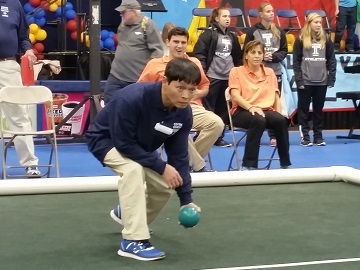 Bocce as a Special Olympics sport provides people with special needs the opportunity to have social contact, develop physically and to gain self-confidence. Next to Soccer and Golf, Bocce is the third most participated sport in the world.